What is the first thing you do with “found” money? First, what exactly constitutes “found” money? That would be money that is considered a windfall, either a one time thing or a consistent amount of money that is now available to you (think a raise at work, for example). If you’ve suddenly increased your income, either short term or long term, think about exactly what you would be inclined to do with it. For some, money that has found its way into their hands often doesn’t last very long. That money is spent quickly, on a whim, for something such as a vacation or a shopping spree (new clothes, anyone?). A small contingency of people might be thinking, however, why not use that money to help your financial situation? Think about credit card debt you have, a lingering school loan that could be paid off or something else you’ve been putting off due to not having the money, such as repairs around the house or dental work, anything that is a necessity in the face of having extra money at your fingertips. Let’s talk for a second about extra money in the form of a raise, perhaps something you get once and a while at work depending on how the company is doing or it might be a yearly thing based on cost of living or something of that ilk. A raise at work isn’t a reason to increase your expenses, such as subscribing to another monthly service or even justification for a new car, better house or anything else that would require you to add more debt or spend more money on a monthly basis. Instead, a raise should be seen as extra income for paying down the aforementioned debt or extra money that can be put aside in a savings account or emergency fund. Furthermore, have you given any thought to your retirement plans? A raise is a perfect time to add to your 401K, increasing the percentage that you are contributing on a yearly basis until you completely max out that amount. Now, this isn’t to suggest that you can’t spoil yourself a tad with a raise or money that you’ve come into at the moment. If you’re wearing clothes from 20 years ago or have shoes with holes in it, buy yourself something. That constitutes a necessity, but a shopping spree with clothes already overflowing your closet or taking a trip when you just got back from one doesn’t make a lot of financial sense (unless you haven’t had a vacation literally in years). Found money is a nice bonus, but make that money work for you beyond a few ill advised, short term spends that mean little in the long run. When you talk retirement, chances are you keep the conversation as simple as possible, with one question resonating more than any other. That figure is something a financial planner or retirement specialist, accountant or perhaps even the entity that is overseeing your 401K can tell you, but along the way of making sure you have enough to live day to day, week to week and month to month and sprinkling in anything else you want to do when you call it quits, such as traveling, new home purchase, etc., you also might not want to overlook certain expenses that are easily forgotten. Most assume that when they retire they’ll no longer have much in the way of obligation, but a lot of that depends on your children, their financial status, your living arrangements and just how much debt you have, just to name a few indicators. Recent studies have shown that about 30 percent of parents on the cusp of retirement still support their kids in some form or fashion. You also can’t discount where you plan on living as you may believe your house is paid off, but after a refinance or consolidation, that throws your 30 year mortgage back to square one in some cases, when you take cash out for home repair or debt consolidation along the way. Even if your house is paid off and you plan on selling it and moving into a townhouse or rental property when you move away, that also has to be considered. You can’t jump into a $1,000 per month rental without making sure you have the income to support it for the next 10 to 20 years. Also in the mix when you’re thinking about retiring should be your need for healthcare and just how your premiums after working or your deductible, Medicare or other health related expenses would figure into your near or even distant future. Far too often, health care is forgotten about the moment you step away from work, since you’re of the impression Medicare or some other retirement based insurance is going to supplement you enough, but what about expenses that are out of pocket and won’t be covered. The average cost of that is more than $4,000 per year. Do you have enough to keep pace? Retirement centers on planning as that joyful day approaches when you no longer have to work. But nothing is more frightening and frustrating that having to go back to work because you run out of money along the way. That can easily be avoided if you make sure nothing slips through the cracks and turns your retirement plans down a crooked path that sees you back to work in what should be the best years of your life. What if someone told you by cutting out one expenses, you could have a half a million dollars saved in about 30 years or so? For some, that is the amount of time they have left until they retire, so if one item, one purchase could lead them to that much cash on hand by the time they hit 62 or 65 years of age, then why wouldn’t you give up that one thing? And if you can’t, you’ll probably assume that this “one thing” is far too precious of an expense to go without if it can generate that kind of money over the course of your career, for example. Now, what if someone said that one expenses was a steak dinner, or it was a sandwich for lunch and a simple chicken salad for dinner? Seems almost too good to be true or that proverbial head scratcher you can wrap your mind around. Well, prepare to have your entire mind and financial future flipped on its ear the same way you’d flip that $10 hamburger you just had for lunch. So spending $20 per day on take out food doesn’t seem that difficult to do when you consider that the average lunch out to eat is around $10 and spending $10 at dinner seems like it would almost be a foregone conclusion, even if you’re hitting the drive thru window (have you seen how much a value meal at a chain fast food place costs theses days?). But did you know that $20 per day on dining out is going to account for more than $500,000 spent in 30 years? When you put those numbers and time table to it, how can you not get a little nauseous when you think about having that money in hand or in your bank account rather than in and out of your stomach for the last three decades? 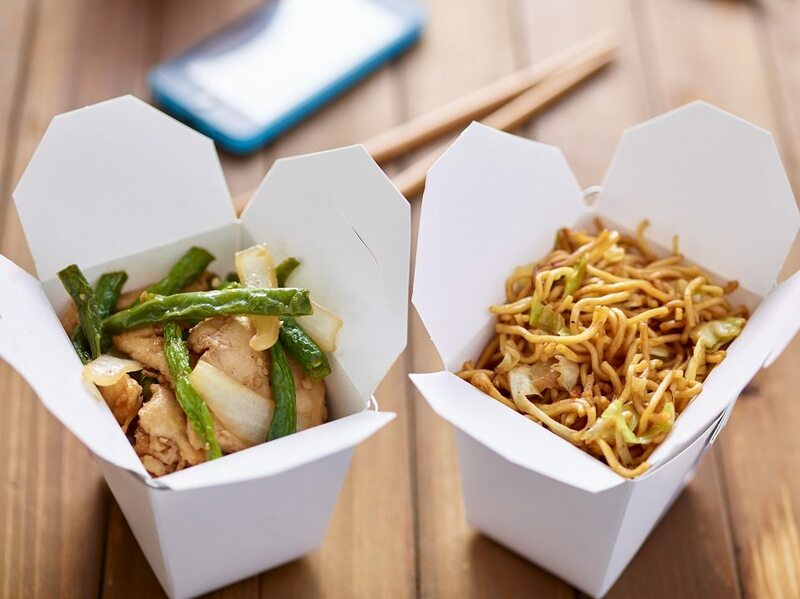 Now obviously, you aren’t going to spend $20 per day on take out food, but the truth is some individuals do that on a regular enough basis that you are still going to be spending quite a bit of money (not saving it) as a result of eating out at restaurants consistently. And remember, that $20 price tag would be much higher for a family of four or even two parents who aren’t meal prepping and instead eating lunch on the go or picking up dinner for everyone at least during the work week. Curbing eating out starts with better grocery store planning and shopping with meal preparation in mind. Doing that is going to not only in the short term cut down your grocery store bill, but also put a cool half a mill in your pocket thanks to not being tempted by the convenience of eating take out food. You might be surprised that most items fall under the “want” list more so than the “need,” such as housing, transportation, utilities and clothing (although that doesn’t mean you can shop till you drop every weekend). One item also belonging on the list of “needs” is food, but that doesn’t mean you can’t overspend and waste on that particular purchase. Just because an item falls under the “need” category doesn’t mean it can’t be adjusted to still be fulfilled but at a price point that makes more sense. For example, you can have transportation to and from a bevy of destinations but nothing that says it has to be a new car, priced at twice as much as a used one. The same could be said for food, since everyone knows that spending money on food is a necessity, but at what degree does it become excessive? 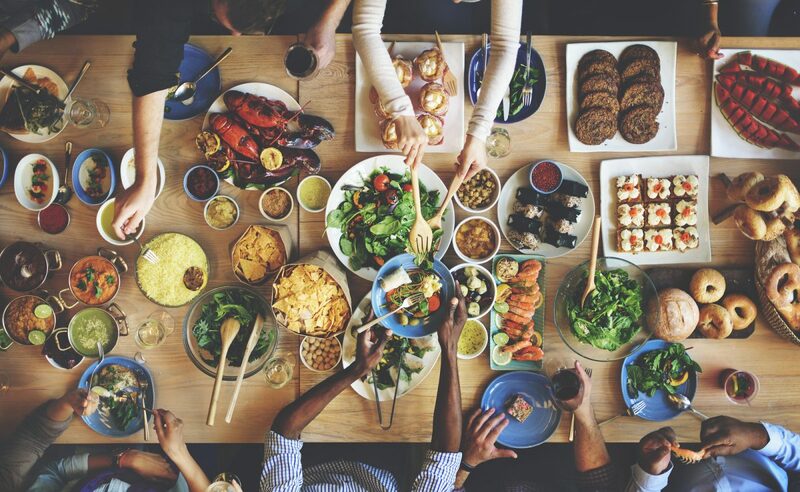 You can look at the great food debate from several angles, starting with the most obvious: grocery store food versus take out or eating out at restaurants. This is quite simply double dipping at its finest, since the average household spends about $400 per month on grocery store food, but still spends about that same amount on take out as well. That’s $800 per month on food, and the question remains why can’t that $400 grocery bill suffice as long as you’re meal prepping and not relying on the convenience of take out food? The meal prep point is not only valid in the grocery versus take out discussion but also how you move about the grocery store specifically. The old adage of “you shouldn’t go grocery shopping while you’re hungry” should be changed to not shopping unless you have a list. That means preparation is key when you hit the store, so you’re focused on what you need versus having to dig through the end of the aisle cardboard cutout promotions and other buys that you really don’t need but look to good to pass up on sale. You also should make it a point to shop when items of your liking are on sale or in general take advantage of promotions or any incentives on using coupons. The average household throws away about $1000 worth of food per year, and you can’t help but wonder if a list and planning, along with avoiding take out food, would fix that. It isn’t often that you are met with a money statistic that is alarming in a good way. This one is a real eye opener and is totally underscored with positivity when it comes to saving money and being able to have the most optimistic eyes for the future. More than half of the population in their early 30s is budgeting how much they make, what they spend and have a generally good grasp on their money. This, of course, is a radical departure from what we’re told about money and being able to save it overall as Americans. About 50 percent of the population has zero dollars in a savings account and admit they couldn’t afford to take care of an emergency should it crop up, whether it’s a home repair or a car that is on the fritz. But leave it to the younger generation to start reversing the trend. 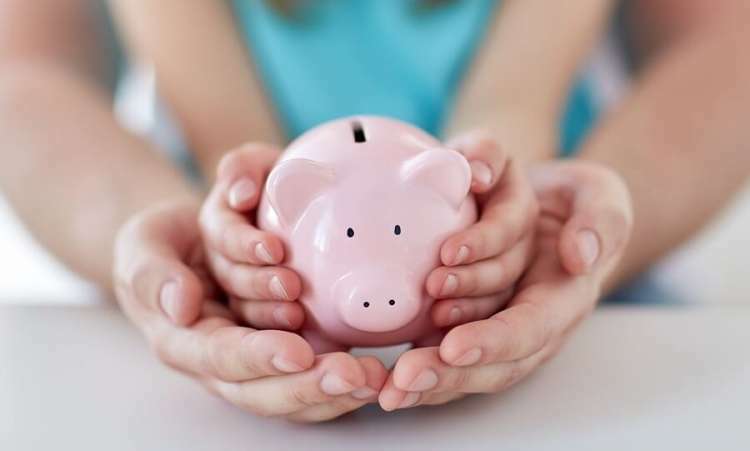 The latter stat, the one about the zero dollars in the average saving account, takes into consider all ages, so the question remains: if the early 30 crowd is doing so well, why is our average so bad when it comes to saving money? The answer really lies on the transition from early 30s to mid to late 30s and beyond, most notably the 40 something crowd. If you’re 32 years old, for example, and you’re living modestly and sticking to a budget and saving money, what changes in the next decade or so. Perhaps having children, getting married, buying a home, moving for a new job or other life changing events alters how you feel about money and, more specifically, your lack of being able to save and propensity in turn to borrow. The average household carries nearly $25,000 in unsecured debt, and a good portion of that is made up of the 40 plus year old crowd. Could it be possible that the savvy, astute 30 something year old crowd in their youth lived below their means but then did a complete 180 when it came to money as a result of family, marriage and home buying. If you’re in your early 30s and you had a used car (no car payment or you valued a lower priced vehicle versus a car payment) and you had rent that was feasible if not a steal, why wouldn’t you stick to the used car mentality and buy a first or even second home that was far under the total amount you were approved for? Just because your life changes doesn’t mean your thoughts on money, budgeting and living under a certain expense number should. That first house after marriage can be a starter and ender at the right price. A few kids doesn’t mean you have to invest in a $50,000 mini van when a used one still has enough space, bells and even whistles to suffice. The money mentality should remain constant, even if nothing else really does. Success and failure are a fine line, and money in that regard is no different. For some, success as it relates to money and saving it could be something as simple as how much you make, having a handsome income and, for the most part, keeping your expense to a minimum. Other will argue that success is how much you have in your bank account and the ability to budget and save, regardless of your income. 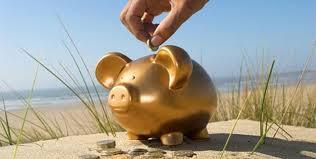 And what about other aspects of money such as a financial plan or retirement fund? As you can see, money and success have a lot of different avenues. Failure also isn’t far off if any one of those are lagging. 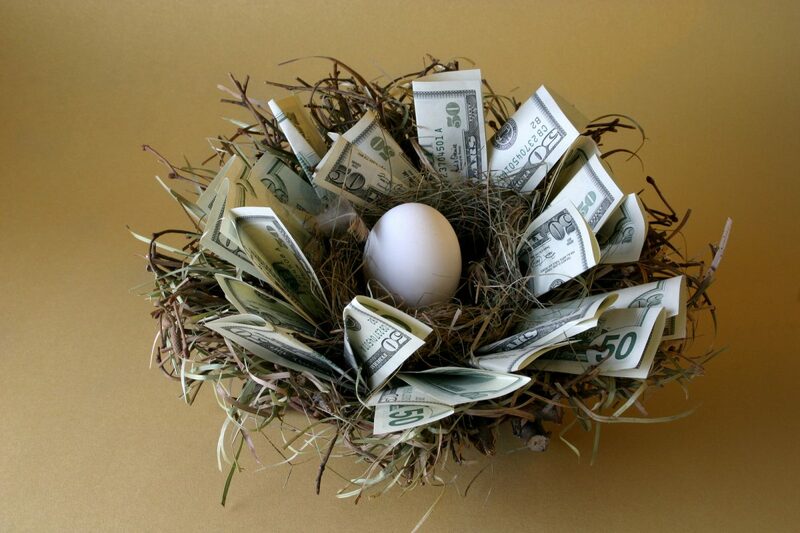 So how exactly do you know if you’re financially successful and at least have all the eggs in the right basket so you can save money and flourish, versus the alternative and that’s no money saved and living from one paycheck to another. The two most important aspects of your finances and saving money: financial plan and budgeting. The planning and budgeting run hand in hand, and the real driver behind both is having goals and making sure they’re spelled out in black and white. Far too often, individuals have these great intentions and want to have more money in the bank and a better retirement set up but it’s only idle chatter and no pen was ever put to paper, and thus nothing happens. And a lot of that goes back to an earlier point about having a nice sized income but yet nothing to show for it. They assume that having a lot of income means you don’t have to think about having a financial plan or budget and that you have a “good idea” that you’re out ahead of the game. The budgeting piece speaks for itself. You can’t spend what you don’t have and that’s when you get into credit card issues. Budgeting means you know what you have to (not want or need) pay for and then whatever is leftover can be dealt into your savings account and make sure you have some money for entertainment expenses or to simply have fun. The principle behind saying money is ironic given the world we live in today. You’re consistently urged to save, spend wisely and learn how to live without, separating wants from needs at the blink of an eye. Counter productive to that are credit cards and offers flying under your nose, mortgages being given away with little or no interest and plenty of incentives for simply spending money you don’t have, whether it’s a holiday sale that temps your wallet or the latest and greatest, newest and bright and shiny product that you convince yourself you have to have. Sure, you can argue willpower to the tenth degree, and you’d be right to assume that saying “no” truly is the best way to combat this downward spending spiral you’re in, but what if you really don’t know what’s bad for you money wise. What if you’ve convinced yourself that needs are always good, and can’t be underestimated or reconfigured? Case in point, do you really need that larger than life house and a few thousand dollar mortgage when those five bedrooms and three baths simply look good on paper? Just because you’re approved for a huge house and an even bigger payment doesn’t mean you always have to cash in on that particular dollar amount. Even your wardrobe may be hindering you and your ability to save money. The phrase “dress to impress” wasn’t pulled out of thin air, but instead it holds significant meaning to someone who is buying clothing that is far too expensive that they want but really don’t need. That doesn’t mean you can’t treat yourself to a new, fine suit or a dress that is to die for, but that shouldn’t be an every week or month endeavor. Finally, if you’re someone who has to have the latest and greatest and the next model or the first of something, chances are very good that you’re spending too much and excessively without thinking it through first. While it’s always a plus to have something no one else does or to be the first in your neighborhood with a particular product, you’re also not allowing for prices on these products to go down organically over a period of time. An HDTV was about $1700 10 years ago for a 40-inch model; today it’s the same quality and light’s out picture quality for about $300. If you can’t wait, you’ll always overpay. Avoiding spending is impossible but it’s not hard to sidestep using your money for things you don’t need and thus will always end up saving in the face of a price tag that is too high and totally unnecessary. When you start getting close to retirement age, you might be overcome with just a tad bit of nerves as you plan to say so long to working for good. But if you’re not ready to retire that sentiment might have to be changed to saying so long to work for now, since you might find yourself back to work after your retire too soon and thus run out of income or money saved. That scenario is the most feared by all individuals who have retirement in mind, so pulling that proverbial trigger on retiring often is met with fear and a sense that no time is really good enough. Now, if you have employed a financial advisor or someone to watch your money grow, help you invest it, and they’re giving you remarkable advice and assure you that you’re time is right, then so be it. That timing might be on point since a good financial planner is going to ask you what you need to live on after you retire and, for instance, if you want to have enough money to travel nine months out of the year after you’re 62, then disclosing that allows the planner to build the retirement that is right for you. Not having a financial plan is really the first sign that you’re not really ready to retire because, quite frankly, you’re not thinking about it the way you should be. A financial plan really is your path from the working world into your golden years with a transition that is smooth and won’t be met with going back to work after 10 or 15 years retired. 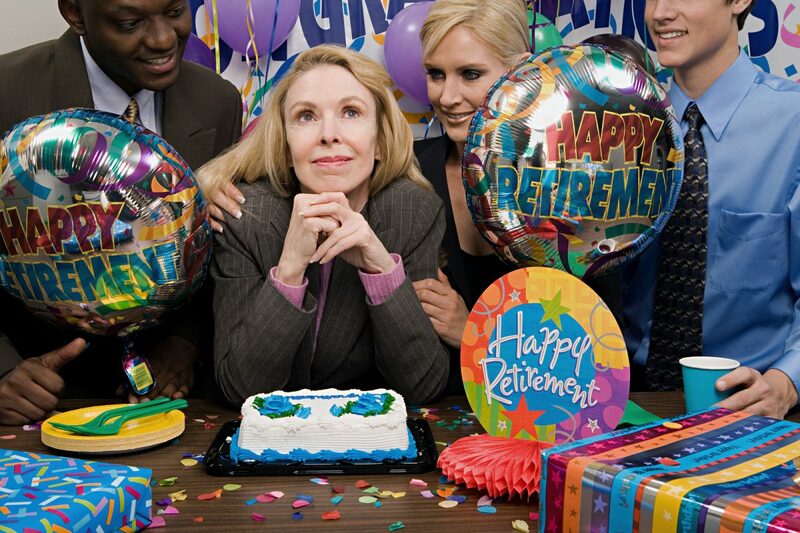 Retirement also is something you view as the most opportune time to actually quit working. If you bought a new house at 50 or you have some other major financial responsibility, you certainly can work that into your retirement plan but it certainly makes it much more challenging to budget and have a plan that works when you have much more financial responsibility as you reach 60. And that includes debt you might be carrying. Some individuals will take out a home equity loan on a house that is paid off to take care of debt and thus have that one home equity payment and nothing more, but if your debt is significant and can’t be solved in a way that eliminates it or gets it under control, you might want to focus your last decade of working on paying down as much debt as possible. Retiring is a big step, and one that shouldn’t be entered into lightly or at a pace that isn’t on point with where you are financially. If you have a budget, that’s great. If you have a budget, and you use it, even better. And if you don’t have one, you should get one soon. Budgeting is the difference between those who can save and those who have no idea why they can’t amass dollar one in a savings account or even think about retirement on the simplest levels. And even if you do have a budget, the success of it depends solely on if you actually follow it or if it’s more window dressing and dreaming than actual reality of your financial situation. Budgeting has to be specific, and to the last dollar where you don’t overlook anything, even the most inconsequential expenses. And here’s one rule about budgeting that often is overlooked, for those who have it and use it properly: it’s a constantly changing entity. That means you should be budgeting and adjusting and altering your budget when you have the opportunity or at least every so often to make sure you really are saving as much as possible. What the general public tends to overlook is a budget that is bloated in some ways or, at the very least, revisiting and revising what you’re paying for certain products or services. For starters, you should be checking rates every year, whether you’re thinking about transferring debt or perhaps just questioning how much you’re paying for car insurance, home owners insurance or anything of that ilk. Some even make it a point to lower the interest rate on their home or are continually shopping for better rates on anything in their lives that is tied to a percentage point. Beyond your interest rates or what you’re paying for your utilities and other bills, you can’t overlook things such as cable television, phone service, grocery bills and even something as arbitrary as a gym membership. As for the membership, you might be able to cut your rate in half based on frequency and what you’re doing. Some facilities are as little as $10 per month, and if that suffice what you need, then why not switch? Cable television is slowly being affected by streaming services that cost a fraction, such as Netflix, Hulu and Sling. And if you’re overpaying for data from a larger carrier, think smaller since most networks are basically the same. So if you’re not traveling to Japan for work, you might want to cut that bill in half and save on the extras, such as data plans you’re paying for when unlimited is the wave of the future. No one is suggesting that budgeting is easy, but the hard part comes from those who ignore theirs once it’s written on paper. Instead, think about altering it and fine tuning it always, to further engage in your finances and save the kind of money that makes a difference. The average budget is, well, average. And by using the term “average,” you describe a budget exactly as the word itself would be defined. 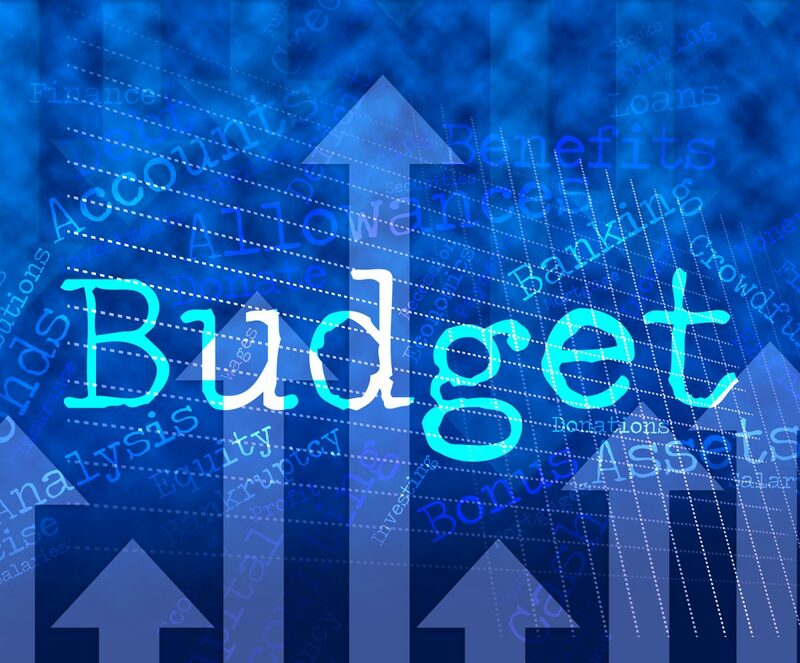 Most of what holds back the average budget is the lack of attention to detail most put on it, specifically only focusing on the big ticket items, your car, house, school loan and other larger scale items and forgetting how small, incidental expenses are also costing you plenty of money. But even beyond not accounting for your $2,000 per year coffee habit or the $5,000 you’re spending on lunch alone every day on your work break, you should really consider scanning your budget, taking the proverbial “fine tooth” comb and really finding even more ways to save on expenses and thus save money in the form of a savings account or nest egg for those unexpected costs. When was the last time you perused your budget, really looked it over? Did you happen to notice that elephant in the room in the form of your cable bill, costing you nearly $3,000 per year for television and internet? In today’s marketplace, you can get away with having entertainment of that same variety for a fraction of that cost. Traditional cable already is feeling tremendous pressure from streaming services, but if you take the time to do the research, you’ll find other alternatives to cable and satellite dish as well. 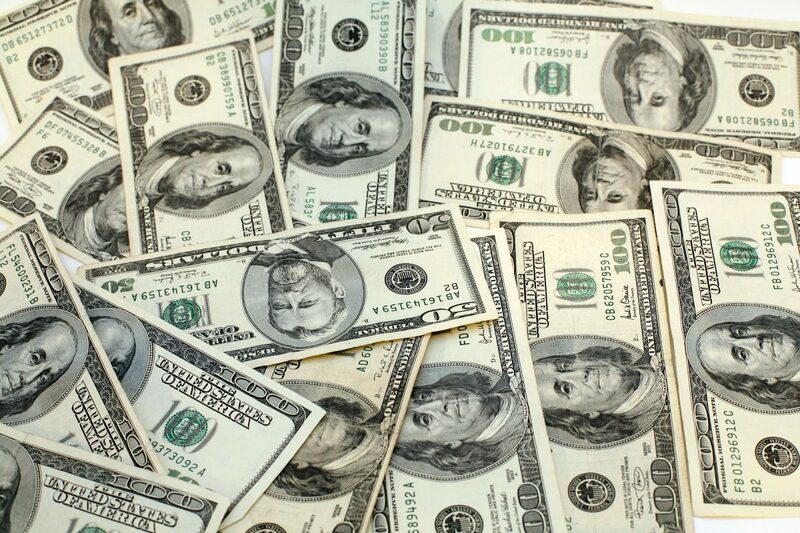 An extra $1,000 saved per year means another $20,000 if you decide to retire in 20 years. Simple math but yet such a hard time cutting that cable cord. And when you’re done with saying so long to satellite or cable, you might want to take a look in your bedroom closet or wherever you keep your clothes. Now, this isn’t to suggest you should stop shopping altogether but rather rethink how you shop. As much as you want to by the most perfect, pristine sweater in October just before the cold weather hits, consider buying clothes in the offseason months, and save that sweater buy for April and grab those shorts and tank tops in September. If you’re overly concerned with style, you can rest assured that doing this isn’t going to set you back fashion wise by more than a few mere months. Your budget is only as good as the person running it, and that means making tough decisions. In the case of cutting the fat, that should be fairly easy when you consider what it is and how much you’re going to save.